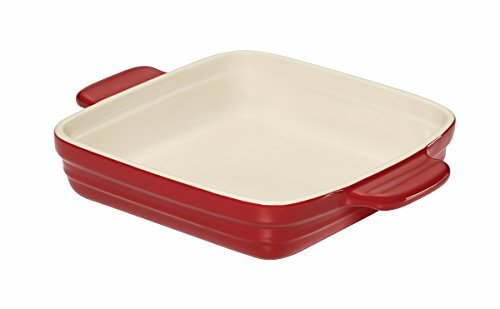 This Baker's Advantage Ceramic Square Baker elegantly goes from the oven to table. It's fabulously useful for baking everything from appetizers to your main dish to desserts, and the end handles make it easy to carry. Constructed of low porosity ceramics for increased durability. Oven safe. Hand wash recommended. Square baker measures 9 inches. If you have any questions about this product by Baker's Advantage, contact us by completing and submitting the form below. If you are looking for a specif part number, please include it with your message.